In a wonderful attempt to coax the Spring sunshine out of hiding, Matthew Williamson’s ‘Gown Gang’ congregated at the palatial Kiping Sweet in Brown’s Hotel in Mayfair to play dress up in our favourite designer’s new Belvoir Collection. Matthew's opulent collection is inspired by Belvoir Castle and its beautiful interiors, with beautifully flowing countryside florals and eccentric patterns featuring monkeys and peacocks. After a breakfast feast comprising of acai bowls and chocolate dipped bananas (and apple pastries, which I admit, I ate four of – but they were REALLY REALLY TINY, people!) 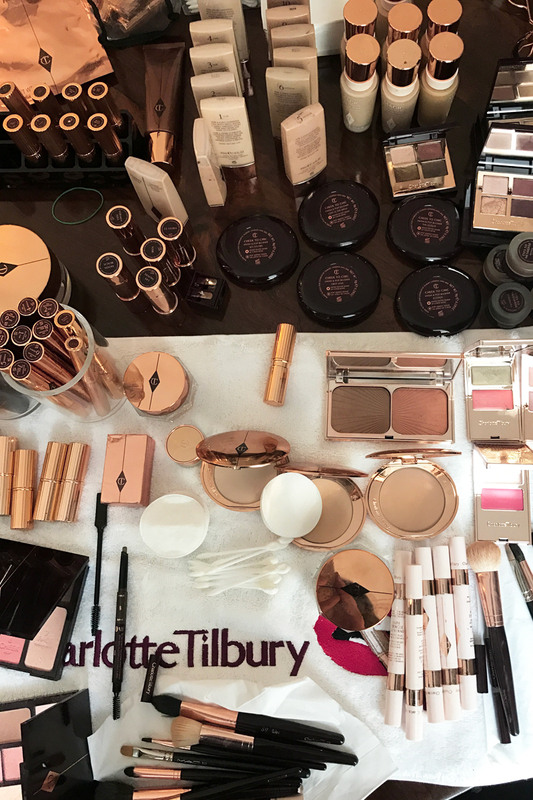 Charlotte Tilbury’s amazing team were on hand to give us all gorgeous make-overs. Now, we don’t want to compleeeeetely take credit for the recent heavenly rays shining through the grey… But I don’t want to fully discount this theory either. Jus’sayin.